I am a circus artist. I can offer: Trapeze, Tissu, Duo Handstand and Adagio, Duo Acrobatics and Contortion. Duo Handstand & Adagio: Male and Female partners. We dance together, perform partner acrobatics, and synchronized handstands. Duo Dance Trapeze: Two aerialist on a single point dance trapeze. This routine showcases contortion and acrobatics. Solo Trapeze: I offer two Solo programs. Both are highly acrobatic and dynamic. My most popular routine features me as the character Marilyn Monroe. I perform this routine over a special stage that blows my white dress up as I dance in the air. Tissu: A classic routine. Full of twist, drops, and elegant transitions. 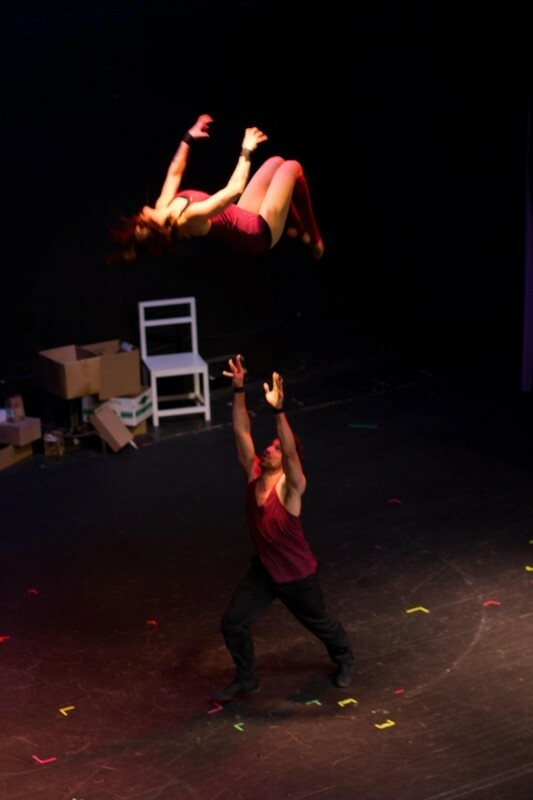 Physical Theater: This act includes solo and duo acrobatics, acting, and clowning. It's fun and upbeat and often includes audience members. Nicole Burgio is an internationally recognized acrobat and aerialist. 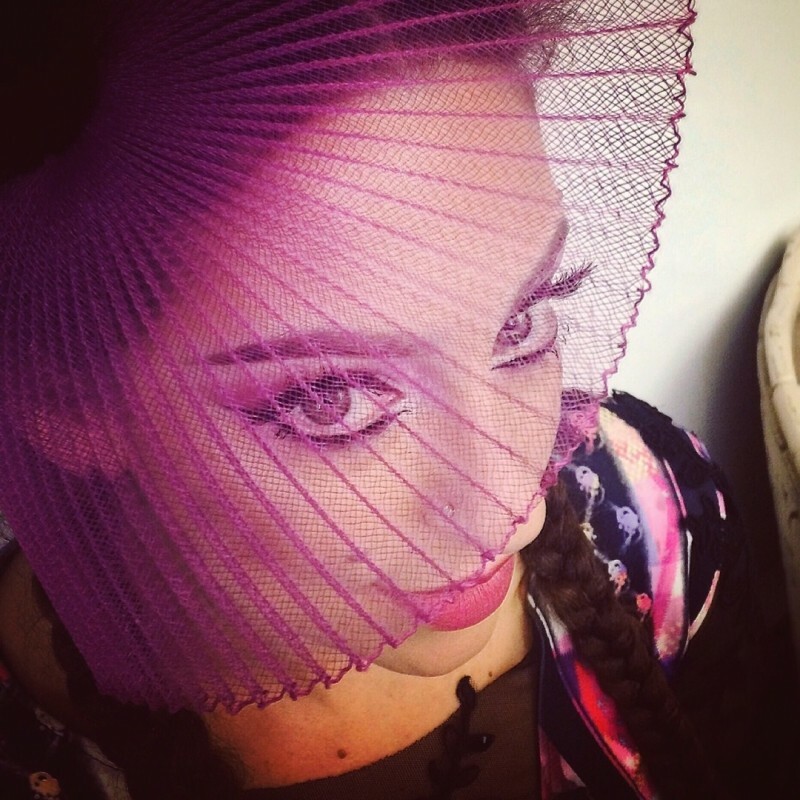 She has performed all over the world. Nicole has just concluded her contract performing as Marilyn Monroe on trapeze in Portugal, Spain, and Africa. She has also performed with Cirque Eloize in Montreal, Canada and was the high flying aerialist in a month long Holiday show in Porto, Portugal. 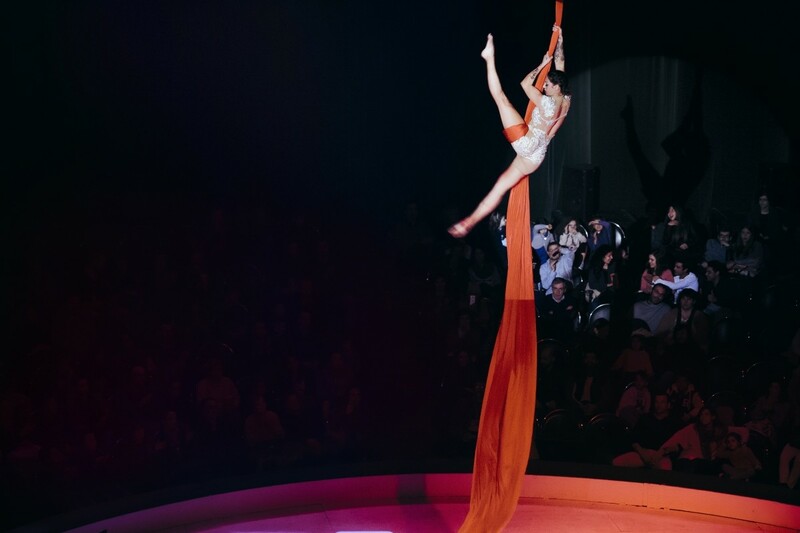 Other adventures include winning the audience choice award at the Golden Karl in Riga, Latvia and originating her role in Theorem, an innovative juggling and aerial show created by Greg Kennedy. Nicole has trained 15 years in artistic g ... ymnastics, and studied circus at the New England Center for Circus Arts and under Ecole Nationale de Cirque coaches. Wedding Reception Entertainment Birthday Party Entertainment Private Parties Corporate Events Cocktail Receptions Product Launches Trade Shows Christmas Party Events Bar Mitzvah Bat Mitzvah Gala Dinners Jewish Weddings After Dinner Entertainment. I have performers Insurance. I am very willing to travel and take long or short contracts.